Michael A. Berman has over 35 years’ experience in the financial services industry. 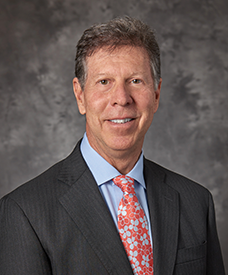 He is a member of Applied Capital Management, a private investment management firm located in Scottsdale, Arizona, and has served as its chairman from 2002 to date. From 2005 to 2006, he also served as the CEO of First Ascent Capital, a financial services firm located in New York. From 2006 until 2008, he served as President and CEO of Real Estate Equity Exchange, Inc. (Rex & Co.), a financial services firm located in San Francisco, California. From 1990 to 1999, Mr. Berman was employed by The Nomura Securities Co., Ltd. (Tokyo) group of companies, where he held several senior executive positions, including that of President and CEO of Nomura Holding America, Inc. and Chairman of Capital America, Nomura's commercial real estate lending subsidiary. In 2006, Mr. Berman became a Director of the Company and, that year, he was appointed a director of HomeAmerican Mortgage Corporation, the Company's wholly owned mortgage lending subsidiary. Mr. Berman's experience as a senior executive in corporate finance, in general, and the residential mortgage market, in particular, provide the Company with a valuable resource.